Winners of the Business Today-YES Bank Best SME Awards have much to look forward to, and challenges to surmount, too. Leading charge: All winners with the chief guest, Ravi Shankar Prasad, Minister of Communications and IT, and Law and Justice (ninth from right); Aroon Purie, Chairman and Editor-in-Chief of the India Today Group (tenth from right), and Pralay Mondal, Senior President, Retail and Business Banking, YES Bank (eighth from right). Photos by Shekhar Ghosh. It was an evening to remember for the thirteen champions of the small and medium enterprises (SMEs) segment in India. There was lightness in their steps, eagerness in spirit and a sparkle in their eyes, as they made their way to the ITC Maurya hotel in New Delhi on the evening of August 26. 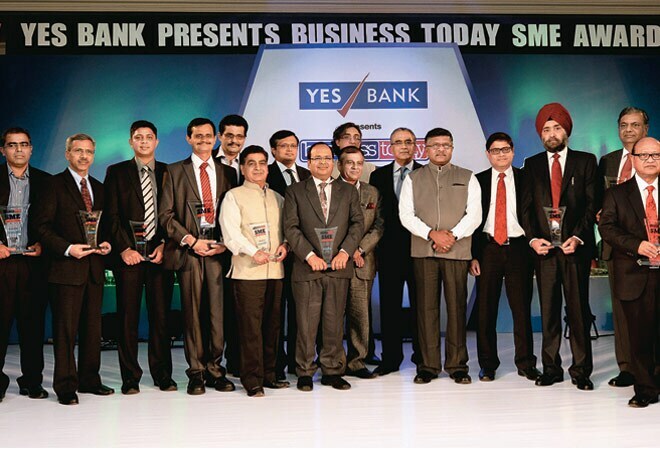 The occasion: the awards ceremony of the fifth Business Today-YES Bank Best SME Awards. "Recognition is very important. It puts the right kind of pressure to perform," said Bipin Shah, a relative of Ketan Shah from Eskay Speciality Chemicals, one of the winners. Held with much fanfare, excitement and glory for the winners, the awards gave them just that incentive. The list of winners was varied and impressive, and invited awe and admiration of guests from across the country. 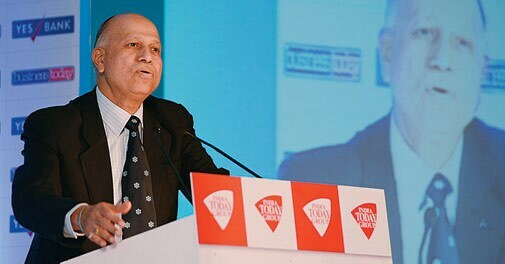 Aroon Purie, Chairman and Editor-in-Chief of the India Today Group, expressed cheer on the changing profile of companies making it to the top list. "This year, we have a winning company that makes software to help farmers and companies plan their agri produce better. Another uses state-of-the-art ophthalmic equipment to deliver world-class eye care to one and all. Yet another uses sensors and other technologies to ensure minimal water use and proper management of waste generated by its manufacturing plant," he said. Thirteen small businesses were chosen for 15 awards from more than 100,000 companies that applied. The methodology comprised a three-stage process of (a) data collection and crunching by YES Bank based on a bunch of parameters (b) a detailed survey and introduction of fresh parameters (c) jury meeting to decide the final winners. The companies that bagged the coveted "Overall Winner Awards" were herbal products company Vidya Herbs in the medium enterprise category, and iConcept Software Services, which provides software for agriculture, in the small enterprise category. The "medium" and "small" enterprise categories comprised essentially companies with turnover between Rs 50 crore and Rs 200 crore, and less than Rs 50 crore, respectively, in financial year 2012/13. The event saw several dignitaries pour out their thoughts before the audience on the SME sector - one of the strongest pillars of a developing country like India. They were led by the chief guest, Ravi Shankar Prasad, Union Minister of Communications and IT, and Law and Justice. J.M. Garg, Vigilance Commissioner of the Government of India, was the guest of honour. 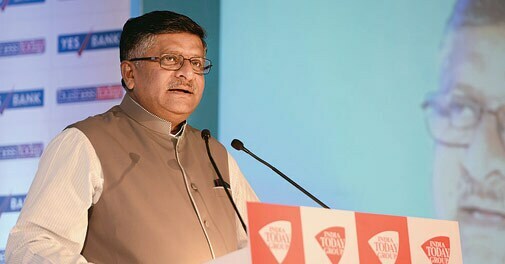 Prasad, one of the senior-most members of the Union Cabinet, started by giving some insights into the hard work being put in by the new government. Thereafter, he spoke at length on the need to strengthen the SMEs, and sounded bullish on the future of e-commerce and electronic manufacturing in the country. "At present, the duty structure is very unfavourable for electronics manufacturers," he said. "We have cleared eight electronic manufacturing clusters across the country to manufacture set-top boxes, mobile phones, defence-related equipment and other products." There was also plenty of talk on the challenges faced by SMEs in India. Pralay Mondal, Senior President, Retail and Business Banking, YES Bank, Business Today's knowledge partner for the survey, said: "Small businesses have to grapple with a variety of taxes, shortage of skilled manpower or resources like power." Added Vigilance Commissioner Garg: "Small enterprises face big issues which no one talks about. Even local industry associations are too weak to articulate their concerns." However, attendees took cognizance of the fact that the government has announced a host of measures for SMEs, reflecting its focus towards strengthening this sector. Garg, while stressing on the fact that there is no dearth of entrepreneurial spirit and risk-taking ability in the country, said: "Small companies should have the vision to migrate from tiny to small and small to large." As India sits on the cusp of a huge digital revolution, Purie stressed on SMEs embracing the power of the Internet. "We already have about 200 million people accessing the Internet, with some five million being added every month. With resource-frugal SMEs embracing it wholeheartedly, there are big efficiencies to be had," he said. YES Bank's Mondal echoed the sentiment: "SMEs with their reach and local knowledge can facilitate IT adoption in the country." The event's presenting sponsor was YES Bank. Grant Thornton was the process validator of the survey.